The palatial tall edifices standing amidst the golden Thar Desert, Heritage Tour to Rajasthan stretches at almost every luxuriously grand city of the state along with Agra and Delhi. Meeting & Greetings at the airport. Our representative will be at the airport carrying a placard in you rname to welcome. He will asssit you for transfer and check in at hotel. Overnight stay at hotel. 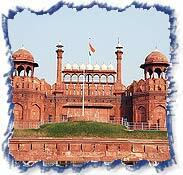 Full day Delhi sightseeing tour visiting the Raj Ghat (Cremation site of Mahatma Gandhi), Red Fort, Jama Masjid, Qutub Minar & India Gate (War Memorial). Drive past President House & Parliament House. Overnight stay in the hotel. After breakfast drive to Agra, the city of Taj which is 203 kms / 04 hrs drive. Upon arrival transfer to Hotel. Afternoon city tour of Agra visiting the world famous Taj Mahal, Agra Fort and Itmad-ud-Daula. Overnight stay in the hotel. After breakfast drive to Jaipur, which is 232 kms / 05 hrs drive. En-route visiting the unique deserted Mughal City of Fatehpur Sikri still in excellent state of preservation. Upon arrival transfer to the hotel. Rest of the day is free for leisure. Overnight stay in the hotel. After breakfast visit to Amber Fort - Amber Fort was the ancient capital of the State. Elephant ride / Jeep Safari is provided to ascend hill on top of which the fort is situated. Afternoon city tour of Jaipur visiting the Hawa Mahal - the palace of winds, the Observatory or the Jantar Mantar. Overnight stay in the hotel. After breakfast drive to Kuchaman i.e. 110 kms / 02 hrs. Upon arrival check in at hotel. Later you may explore Kuchaman villages. Overnight stay at the hotel. After breakfast, drive to Pushkar i.e. 100 kms / 03 hrs. Enroute visit Dargah Sharif. Upon arrival transfer to the hotel. Later visit Pushkar Lake, one of the holiest places of India and site of the Pushkar Mela. Overnight stay in the hotel. After breakfast visit Brahma Temple (only temple of Lord Brahma, the creator, in the world). Other important temples are Savitri Temple, Mahadeva Temple, Rangji Temple, and Varaha Temple. Pushkar Lake is the site of annual holy bath on Kartik Purnima. Later drive to Udaipur i.e. 285 kms / 07 hrs drive. Upon arrival transfer to the hotel for overnight stay. After breakfast, city tour visiting City Palace, Jagdish Temple, drive around Fateh Sagar Lake, Sahelion ki bari (Queen's resort for her friends) and Bhartiya Lok Kala Mandir (Folk art museum). 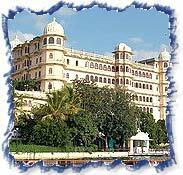 Overnight Udaipur. Breakfast at hotel. Morning is free to relax at the city of lake  Udaipur. Later in the afternoon transfer to Airport to connect flight for Jodhpur by IC472 dep. Udaipur at 17:05 Hrs. Arr. Jodhpur at 17:45 Hrs. On arrival transfer to hotel. Time is free to relax. Overnight at hotel. Breakfast at hotel. Morning tour of Jodhpur, including the imposing Meherangarh fort with its palaces and outstanding museum. Also visit Mahamandir Temple, Jaswant Tada, Clock Tower. Afternoon is free to explore Jodhpur further or relax at the hotel. Overnight stay at the hotel. After breakfast, drive to Jaisalmer. 326 kms and 07 hrs drive. Enroute visit to the Osian Temples. These temples are centuries old and you can visit local villages there. We will also arrange for camel ride. Upon arrival transfer to the hotel for overnight stay. Full day sightseeing tour of Jaisalmer, which includes visit to the 12-15th century Jain temples, Folk Museum, Gadi -sar Tank & the colorfully painted homes known as Havelies. Evening drive to Khuri Village & Sand Dunes. Khuri is a village 45 km South west of Jaisalmer. It is a delight fully peaceful place with mud and straw decorated houses. Further proceed for 1Km away from village, you can magnificent patches of sand dunes. You can have camel ride here. People & village life can be seen on the way to khuri in various villages. Overnight in Jaisalmer. Dive to Bikaner, which is 333 kms. & approx. 07 hrs. drive Transfer to hotel. Overnight in Bikaner. After breakfast, proceed for sightseeing tour includes visit to the historic Junagarh Fort, Bikaner Palace and the Golden Jubilee Museum. Overnight stay at the hotel. After breakfast, drive to Mandawa,164 kms and 03 hrs drive. Upon arrival transfer to the hotel. Later proceed to the sight seeing, and enjoy the picturesque view of the desert stare. Overnight stay at the hotel. After breakfast, proceed to the sightseeing of Mandawa Castle Mandawa is an ideal base to discover the legacy of 18th Century frescoes that adorn the Havelies of this storybook town. With canopied balconies and turreted battlements, it offers modern comforts with an old world charm. The highlight of your stay is a royal repast where guests dine under the stars entertained by a Rajasthani fire dancer. Also enjoy the picturesque view of the desert state. Later drive to Delhi 260 kms / 06 hrs drive. Overnight stay at the hotel. After breakfast, transfer to the International Airport board the flight for onward destination.